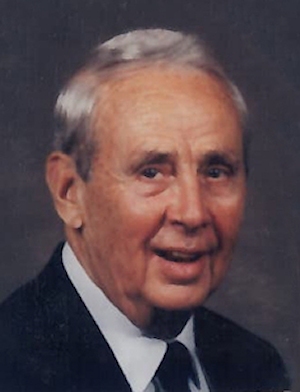 Obituary – Coldiron, Kenneth K. « Perry High School Alumni Association, Inc.
Obituary – Coldiron, Kenneth K.
Kenneth K. Coldiron, 86, long-time Perry resident, died at 11:08 p.m. Thursday, Jan. 15, 1998 at Perry Memorial Hospital. Funeral will be at 2 p.m. Monday at the First Presbyterian Church with Rev. Tim Boggess, pastor, officiating. The casket will be closed at the service. Burial will be in Grace Hill cemetery under direction of Brown Funeral Home. Coldiron was born at Red Rock on Nov. 10, 1911. His parents were Dr. Daniel Fredrick Coldiron and his wife, Daisy Lemon Coldiron. 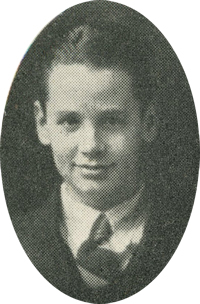 He attended Red Rock schools and move to Perry with his parents in 1918. He was a member of the Perry High School wrestling team before graduating in 1929. In 1930, he joined the 101 Ranch Wild West Show’s Zouaves precision drill team. Coldiron graduated from Oklahoma A&M College in Stillwater in 1935. Coldiron served with the United States Air Force in France during World War II and became a member of the Oklahoma National Guard in September, 1950. From 1935-42, he worked as a traveling auditor for a national auditing concern. In 1947, he entered the banking business at Exchange Bank in Perry. During his lengthy career there, he served as cashier, vice president, president, and chairman of the board. He retired from full-time duty on April 7, 1980, but continued to serve on the board of directors until his death in 1998. Coldiron was a member and had served as an elder at the First Presbyterian Church of Perry. He was a 51-year member of the Perry Lions Club, a 50-year member of the American Legion and Masonic lodge and served as treasurer of the Perry school board for 50 years. In addition, Coldiron had served on the board of directors of the Perry Arts and Humanities Council and the Cherokee Strip Historical Society and was a member of the Perry High School Alumni Association. Among survivors, in addition to his wife, are three sons and daughters-in-law. Clark and Beth Coldiron, Palm Bay, FL, and Dan and Beverly Coldiron and Reed and Ronita Coldiron, all of Perry; seven grandchildren and one great-grandchild. He was preceded in death by his parents, one son, Carl Lee; one brother and one sister. Memorial have been established to benefit the First Presbyterian Church or the newly formed Kenneth K. Coldiron memorial scholarship fund.